Yesterday, we drove 2 hours to Salzburg, Austria to do a bit of sightseeing and have dinner with some friends we haven't seen in years. We lucked out with another beautiful, sunny day. On the way to Salzburg, you drive through beautiful snow covered mountains (you can see a pic on my instagram feed here). 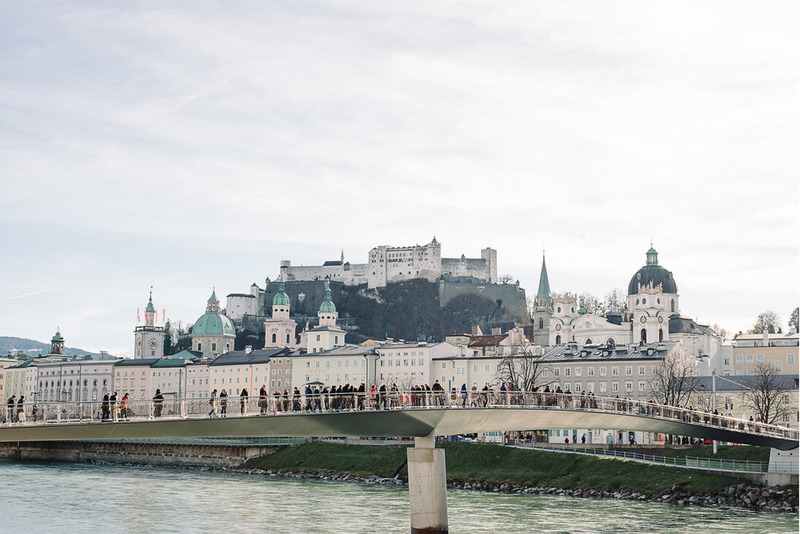 Once in Salzburg, we walked around, snapped some pics, had some lunch with a cappuccino, bought a pair of booties and picked up some ice wine for our friends, grabbed some dinner with our friends and went to meet their two adorable kids after dinner. After a fun and long day, we drove back to Klagenfurt.